New artwork from Ron Squared – this time with a before and after! On the left is the foundation of the painting. It was painted vertically on an easel with squirt bottles and brushstrokes before being horizontally oriented for the rest of the painting process. 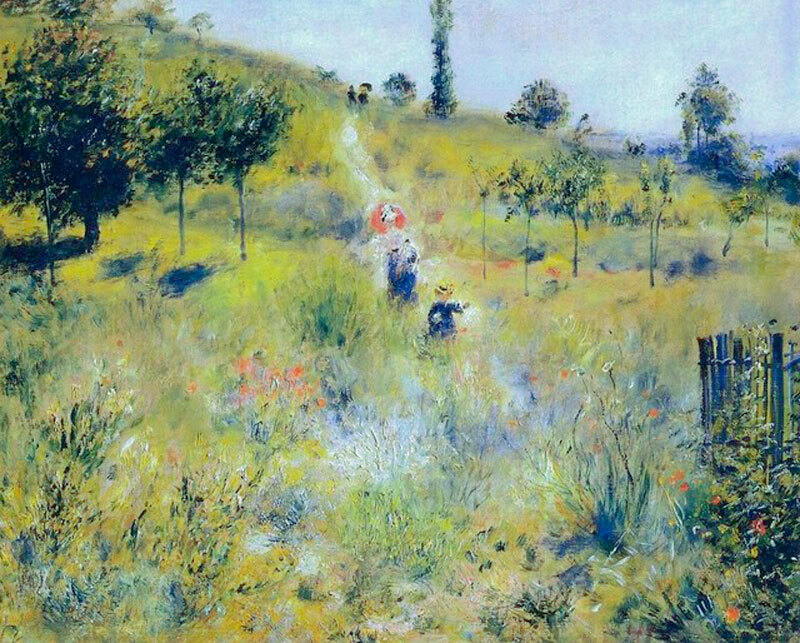 Pictured right is the final result, and below is the Renoir painting it was inspired by.